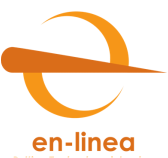 En-Línea is a international consulting company with 25 years of experience dedicated to assist Sport Governing Bodies, Sport Organizations, and Events around the globe to improve their business performance, profitability and overall operations with the help of innovative ideas and state-of-the-art technology solutions. 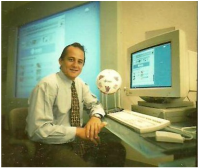 En-Linea was founded in 1994 by Juan Jose (Cheché) Vidal Noya, the man responsible for the planning and implementation of the technology operations of the 1994 FIFA World Cup organized in the United States. 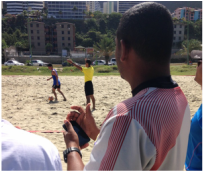 After the success of the World Cup, Cheché put his experience and insight into forming En-Linea to develop, implement and provide FIFA with what is recognized as the pioneering digital platform for sports federations worldwide: FIFA.com. We have 25 yeas of experience serving the world’s most prestigious sports governing bodies, developing critical applications for sports, building strategic partnerships with network and system providers, creating proprietary software tools to manage content and data on the Internet, and establishing a reputation of professionalism, knowledge, creativity, integrity and quality with our clients. Technology, globalization, evolving customer behaviors, and other factors are creating a highly dynamic business environment in which sport organizations must constantly adapt or be overtaken. We assist organizations and individuals with breakthrough ideas, innovative solutions, and project management so our clients spend more time concentrating on the improvement of the sport, than sorting the disruptive challenges of their operations.